The longest time of solar eclipse totality will be viewed in southern Illinois come Aug. 21. On Thursday's St. Louis on the Air, we discuss. The Aug. 21 total solar eclipse event creeps ever closer. While the path of totality crosses quite a bit of Missouri, and even part of St. Louis, the longest duration of the eclipse will actually be in southern Illinois. In Murphysboro and Makanda, totality will last for a whopping two minutes and 40 seconds. At one point in the Shawnee National Forest, just south of Carbondale, eclipse viewers will see totality for two minutes and 44 seconds. According to eclipse enthusiasts, those seconds make a big difference. 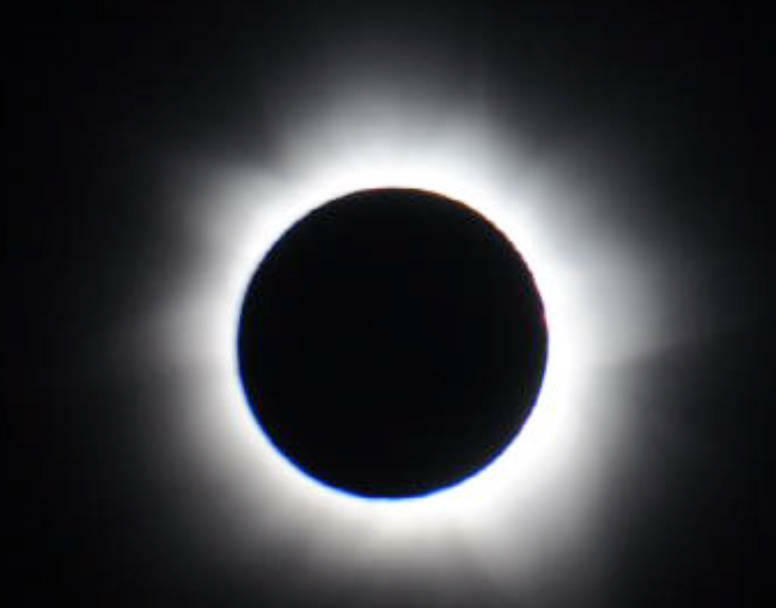 This celestial event is expected to draw 200,000 people to the region from Shawnee National Forest to the Metro East in southern Illinois, according to Cory Jobe, the tourism director for the state of Illinois. Carbondale alone is expecting a 50,000-person influx; that's where NASA will set up camp at SIU and the Saluki Stadium will host a watch party that could accommodate 35,000. Jobe said you'll be able to see the total solar eclipse from the main street in Makanda, but he also recommended a visit to the Shawnee National Forest area for quality eclipse viewing. "The Bald Knob Cross, which sits atop a hill, has 360-degree views, unobstructed views," Jobe said. While most mainstream hotels have been booked for quite some time (and if any rooms are still unoccupied, they're pretty pricey), but unconventional lodging still has space. Jobe recommended campgrounds in Shawnee National Forest, mom and pop roadside motels, and the DuQuoin State Fairgrounds as lodging that still remains moderately priced. Oh, and Ozzy Osbourne is slated to make an appearance in southern Illinois during the eclipse. Literally. Osbourne will sing "Bark at the Moon" just as the eclipse reaches totality from the Moonstock Solar Eclipse Festival in Carterville. Southern Illinois will hold the title for point of longest duration of totality come the Aug. 21 solar eclipse. Some 200,000 people are expected to descend on the region to take part in it. How is Illinois preparing? 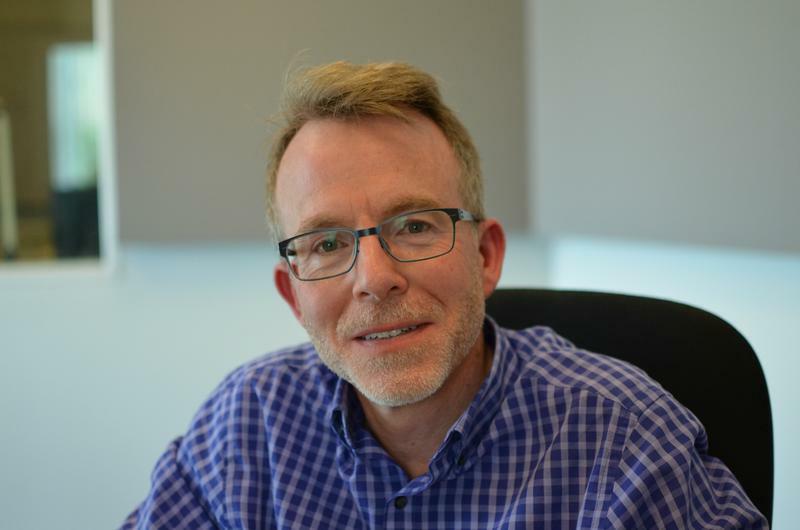 St. Louis on the Air host Don Marsh speaks with Illinois Tourism Director Cory Jobe. Author David Baron is not kidding when he says he’s been looking forward to the total solar eclipse that will occur on American soil on Aug. 21, 2017, for the past 19 years. 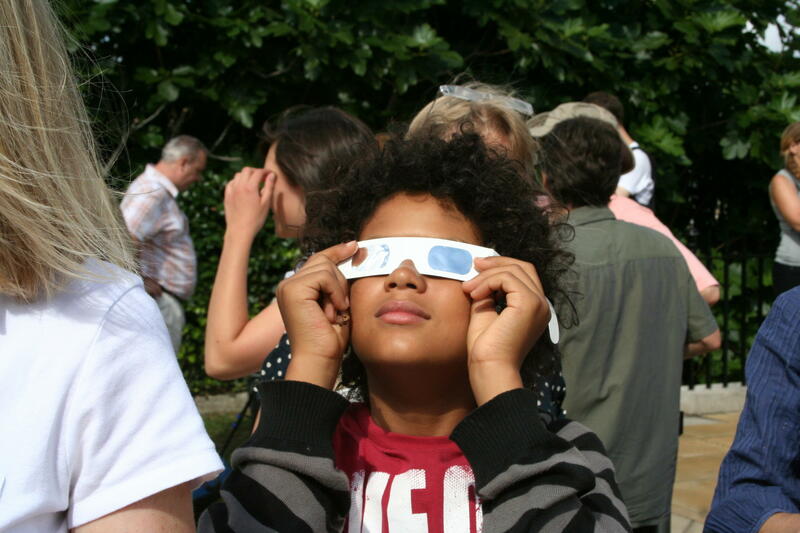 In 1998, he saw his first total solar eclipse. He’s now seen five different total solar eclipses around the world … but never one over his homeland of the United States. It's not just astronomy nerds who are preparing for the total solar eclipse in August. Scientists are also using the event, which has not occurred in Missouri since 1442, as an opportunity to gather data. St. Louis is one of 30 locations across the U.S. where scientists will launch large balloons into the upper layers of the Earth's atmosphere during the eclipse, as a part of the NASA and NSF-sponsored Eclipse Ballooning Project. 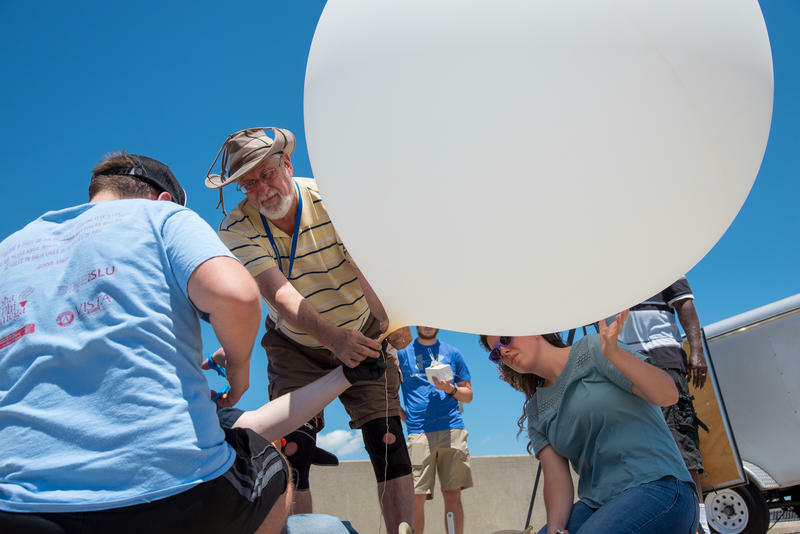 On Tuesday afternoon, Saint Louis University and Jefferson College researchers performed a test-run of their balloon, which will carry a radiosonde, an instrument that measures wind speed, humidity, barometric pressure and other conditions of the atmosphere. They will also be using Ameren Missouri's network of weather monitoring stations, called Quantum Weather.